We believe God specifically led us to Camp Marie. He used closed doors to guide us to an opportunity that we never imagined for ourselves. Camp Marie is a small community that is motivated to partner with us and do their part in building up their community and is not already served by many NGOs. We were blessed to purchase a large piece of property just outside of town and to quickly build relationships with the mayor, pastor, and coaches in the area. 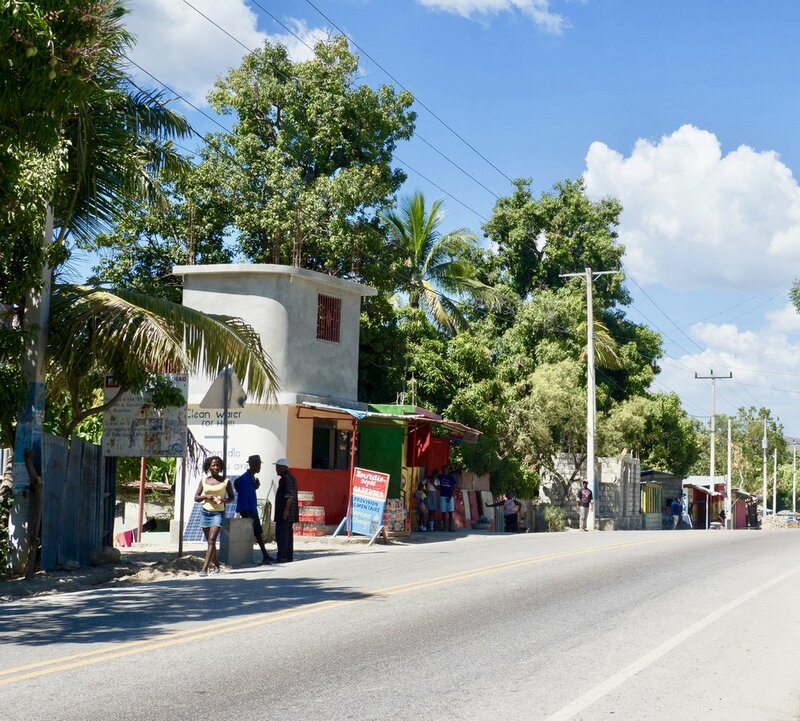 Located on the main highway north of Port-au-Prince, Camp Marie is an ideal location, offering easy access for events, visiting teams, and disaster relief. This coastal area of Haiti is often affected by hurricanes and tropical storms, making our disaster preparedness training and the shelter the King Center will provide valuable assets. Project Living Hope’s job skills courses will also be a unique opportunity in the area. Currently, those interested in learning English or other skills must travel to the city of Saint Marc. Like many communities in Haiti, Camp Marie faces the challenge of its youth moving away from the community to pursue opportunities in the cities or in foreign countries. It is our desire as well as the desire of the leaders of Camp Marie that the next generation be empowered to stay in Camp Marie, that they be taught the skills needed to find employment in their own area, that they have a well-founded hope for their future right here within their community, and that jobs will be created that will provide the opportunities for these youth to seize. Our dream is to create a community where people want to live. Where families can stay together. Where each generation can see hope and promise. We envision a community that is united and empowered.